After the closure of its music service Twitter Music, the social network would focus closely SoundCloud. This community music site contains many users as Twitter: this operation could allow the Twitter resume growth. 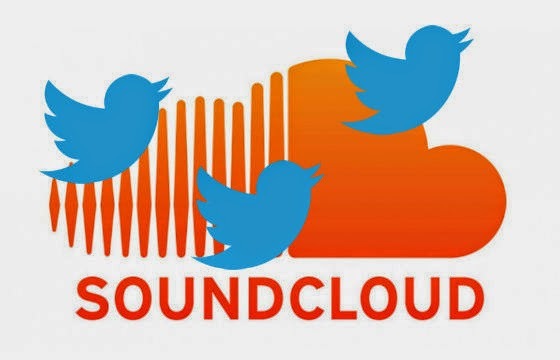 SoundCloud, commonly called the "YouTube Music", allows users to share and promote their creations, to come forward with 250 million subscribers, who can criticize and support these works. Following its last fundraising date service musical collaboration is valued at $ 700 million. This is the amount that Twitter should pay if it really intends to acquire the platform, social network seek to redeem SoundCloud. This acquisition would allow Twitter to develop a platform for sharing and exchange music. There is a precedent: last year, Twitter bought a start-up We Are Hunted, thus giving birth to Twitter Music, dedicated to this sector application. But the experiment was cut short, since this service was closed down a few weeks ago. The integration of SoundCloud to Twitter is justified, since the social network has expressed a strong interest in this area and could benefit from the experience and capabilities of the leader in this field. Especially as the social network is experiencing difficulties. Financial results, recently presented to investors and the press, show a significant decline in subscriptions and a significant decline in the number of views of news feeds. These mixed results may encourage advertisers to turn away from Twitter. However, the acquisition of musical collaboration site Twitter could cause some Legal troubles. SoundCloud has never signed licensing agreement with the giants of the music industry. If the presence service securities subject to copyright has not yet generated lawsuits, beneficiaries could turn toTwitter, in short, what experienced Google after the acquisition of YouTube in 2006.